Miniatur Wunderland, Hamburg The world’s largest Model railway is a tourist attraction, and the highlight for me in my trip to Germany. Can you imagine a tiny real world, from cities around the world, giving the same feeling of the actual cities. Last vegas,Night effect would give you the feeling of standing on “the strip” and watching the lighting . The flight taking off,With the sound effect of the engine and the movement of the airplane going on the runaway ready to take off, would only give you the sense and feeling as if you were there at the airport witnessing the action,These airplanes models had the branding of lufthansa,airberlin ,Emirates and many more airlines on them.The most amazing experience of witnessing the real world around the globe in a tiny space. By 2020, the exhibit is expected to have reached its final construction phase, including at least a total of ten new sections in a model area of over 2,300 m2 (24,757 sq ft). The exhibit includes 1,300 trains made up of over 10,000 carriages, over 100,000 moving vehicles, ca. 500,000 lights, 130,000 trees, and 400,000 human figurines. *The longest train stands at a staggering 46ft. It even has a control centre from which the train movements are monitored. *Nearly four tonnes of steel was used to construct the scenery along with 110st of artificial grass. 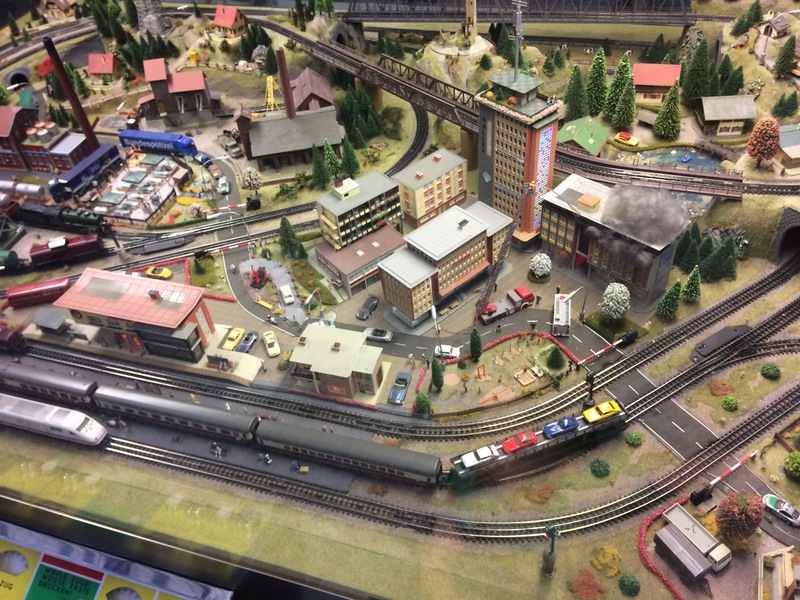 *The ‘Miniatur Wunderland’ has six regions including America, Switzerland, Scandinavia, Germany and the Austrian Alps. In the U.S. section you’ll find intricate models of the Rocky Mountains, the Everglades, Cape Canaveral and the Grand Canyon. While in Switzerland model the mighty Matterhorn mountain rises 6m from the set.